This tower stands in the heart of historic Newport. Nobody is exactly sure what it is. The conventional wisdom is that it is a former windmill with radiocarbon testing dating it back to the late 1600s. Alternative hypotheses, suggest it was built by the Vikings, Medieval Templar Knights, Portuguese explorers and Chinese sailors, to name a few. Where do you think it came from???? This entry was posted in travel and tagged newport, rhode island, tower on April 30, 2015 by milfordstreet. Yesterday you saw the cycling part of the Tour de Jonquilles. Today, I present the flowers and fulfill a request. This entry was posted in travel and tagged daffodil, flower, newport, rhode island on April 29, 2015 by milfordstreet. Last weekend, my wife and I drove down to Newport, Rhode Island for the Tour de Jonquilles. Newport is a seaport town that in the 19th century became the place where the wealthy and powerful in America built summer homes. Currently, they have planted over 750,000 daffodils with a goal of a million. We took a leisurely group ride, touring of the town. Today, photos of the tour and tomorrow, photos of the daffodils. 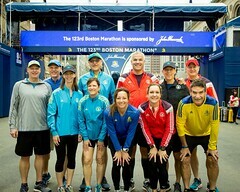 This entry was posted in travel and tagged bicycle, cycling, daffodil, newport, rhode island on April 28, 2015 by milfordstreet. You’ll see what is now a convention center and shopping plaza was once a rail yard. 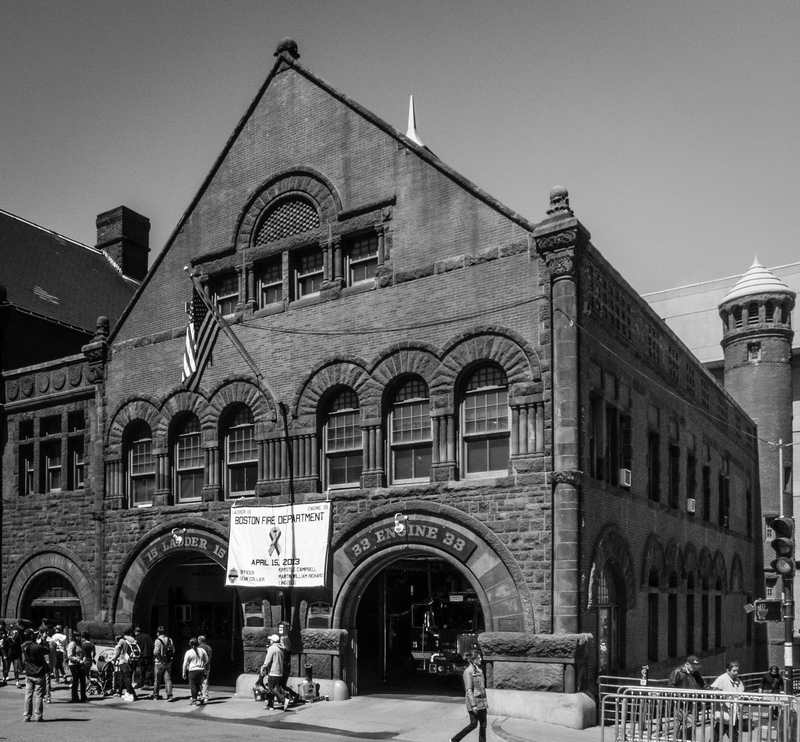 This entry was posted in b&w, massachusetts and tagged boston, boylston, fire, fire station on April 27, 2015 by milfordstreet. I was up early and took a ride over to an apple orchard in Hollis, NH, hoping the blossoms would be out. They were not, but the light was very nice and the sky was amazing. Enjoy! This entry was posted in new hampshire and tagged apple, barn, hollis, orchard, sky on April 26, 2015 by milfordstreet. Charles Street is one of my favorite places in Boston, mostly because it feels like a real neighborhood and it has a great vintage look to it. Last week while visiting Boston, I noticed that most of the shops have signs hanging on brackets above their doors. Many depict objects that are associated with the shop’s business. Here are some of my favorites. 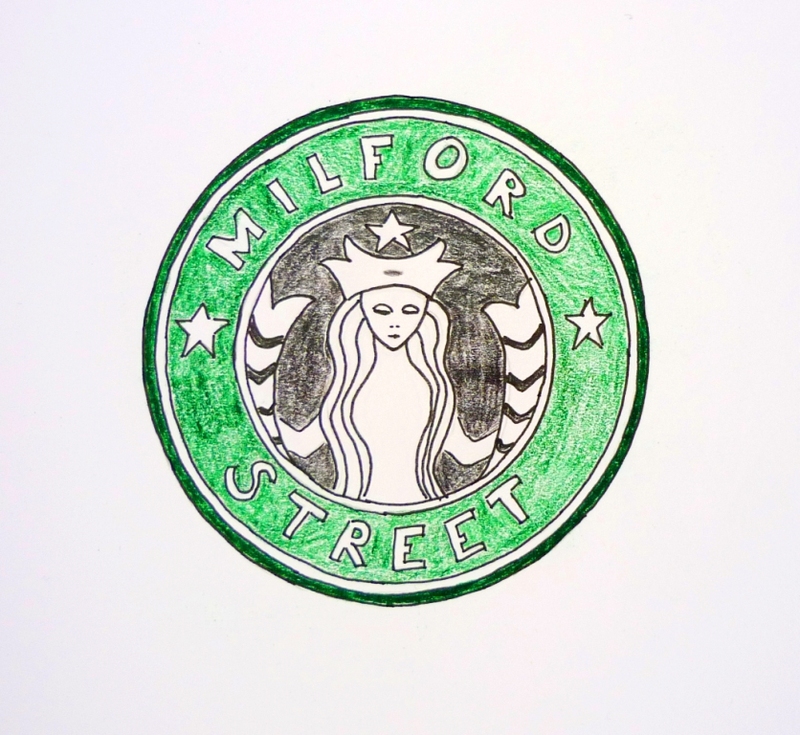 This entry was posted in massachusetts and tagged boston, charles, charles street, signs on April 26, 2015 by milfordstreet. This sculpture in Boston’s Public Garden commemorates the cherished children’s book by Robert McCloskey. A few times, I’ve seen them wearing special hats. Presumably, these are bonnets from the recent Easter holiday. I made this photo and like it in both color and BW. The color shows the form well, but the color shows the warm light. Do you have a preference? 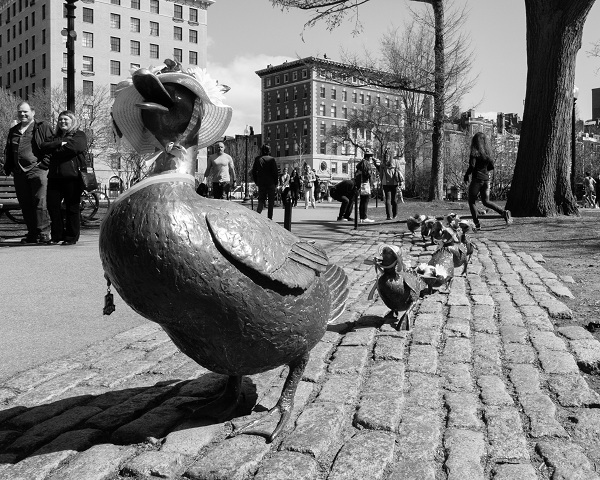 This entry was posted in b&w, massachusetts and tagged boston, duck, duckling, public garden, sculpture on April 25, 2015 by milfordstreet.